PS4 architect Mark Cerny says Sony wants to correct past complaints about the Dualshock controllers. The PlayStation brand has gone through several iterations since its inception but one thing that's stayed largely the same is the controller. 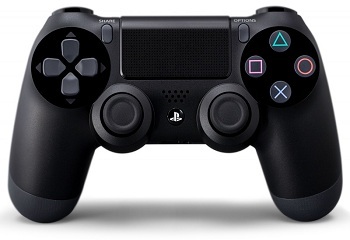 That said, with the PS4 on the horizon, the Dualshock will be getting its most extensive redesign to date. Some of the changes being made are clearly to accommodate new concepts and technologies, such as its built in touch pad. That said, Sony has revealed that the popularity of particular genres also played a part in the Dualshock 4's new look. "Historically we have heard many times that our controllers have not been ideal for first-person shooters," said PS4-architect Mark Cerny. "So we wanted to make sure we had something that would be much better for that genre. We tested the throw of the triggers, the position of the triggers, how much pressure it takes. We looked at the joysticks, the dead spot, we looked at convexity and concavity." The results and reaction to the new design seem to be largely positive. "[It] feels extraordinarily natural. I haven't heard a negative comment about it yet. For a controller with a very different form factor that was just amazing to see." While we agree that the Dualshock 4 looks pretty nifty, we kind of wish that Sony would develop controllers attuned to all the major genres. Imagine how neat it would be to have an official controllers fine tuned to the needs of RPGs or strategy games? Genre specific controllers could arguably help to mitigate some of the sacrifices that developers have to make when bringing more complex games to consoles.